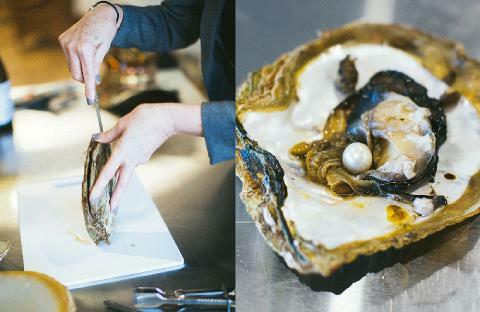 Pinctada maxima, the largest pearl producing oyster in the world, is native to the waters of North-West Australia and part of the reason the region’s pearl farms are capable of growing the most valuable pearls in the world. During this 30-minute experience you will get up close and personal with a real life Pinctada maxima oyster taken straight from Willie Creek Pearl Farm in Broome. Discover how the anatomy of this fascinating creature combines with the natural elements of the Kimberley landscape to create such a magical gem. You will watch and hold your breath as the oyster is opened to reveal the pearl that lies inside. Due to the quality being left in Mother Nature’s hands, the pearl revealed on the day could be valued anywhere between $500 and $5,000 (or beyond!). Seeing a beautiful pearl harvested from its oyster is a breathtaking moment you will never forget. A pearl’s value relies on the interpretation of 5 key virtues. These virtues will be explained, and you can have a go at valuing some pearls yourself! Marvel at stunning pieces of pearl jewellery and see different types of pearls from all over the world. This is a unique Western Australian experience not to be missed.